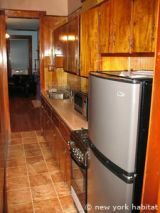 This is our reference NY-14650. 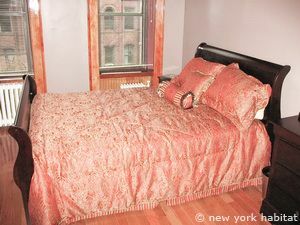 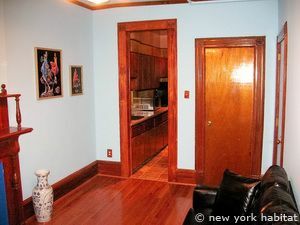 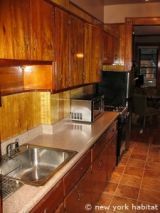 This furnished one bedroom apartment in Harlem, New York is situated on the 3rd floor of a townhouse. 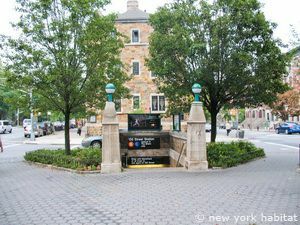 This is a walk-up building that has a buzzer at the entrance to provide security. The apartment has wooded floors throughout and the living room is furnished with a double sized day sofa and a loveseat and is provided with a TV with cable channels. 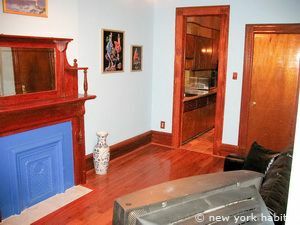 There is also a decorative mantelplace in the living room. 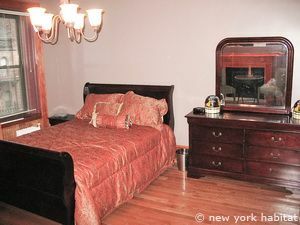 The bedroom is furnished with a queen sized bed and also has a TV with cable. 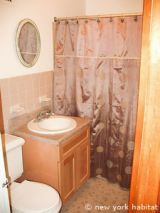 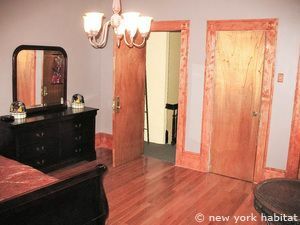 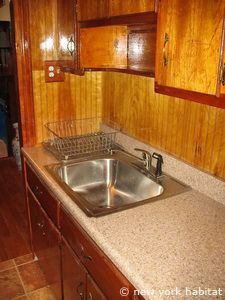 It is also furnished with a dresser and a small table and there is a closet for the tenant's use, as well. 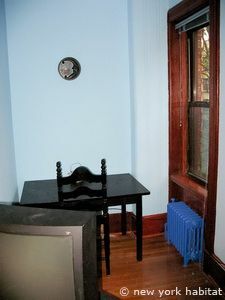 The bedroom of the apartment has northern views onto the street, while the living room is exposed to the south with views of the backyard of the building. 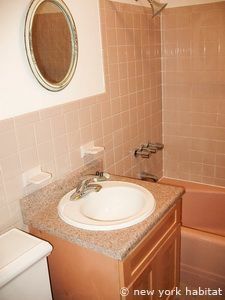 Please note that the bathroom is located outside of the main entrance to the apartment, but access to it is exclusive to this apartment.